As part of the effort of Sentient Technologiesy to establish the importance of evolutionary computation in AI, and particularly its critical role in optimizing the design of deep learning networks, Goodman was interviewed by Sentient in July, 2018. The 17-minute YouTube interview is found on their website, www.sentient.ai/labs/experts or you can click right here. A newly established research group in BEACON is studying how best to use evolutionary algorithms to structure deep learning networks. They are using a multi-objective approach; for example, for a classification task, they trade off the accuracy of classification versus the number of neural net parameters to be learned, or the number of flops required to do a classification once the network has been learned. The group includes Profs. Vishnu Boddeti, a deep learning expert, Prof. Wolfgang Banzhaf, an expert in genetic programming, Prof. Kalyanmoy Deb, an expert in multi-objective optimization, and Goodman. Graduate students currently involved include Zhichao Lu, Ian Whalen, and Yashesh Dhebar. Under the leadership of Prof. Ron Averill (M.E. ), a team including Prof. Kalyanmoy Deb, Prof. Alex Diaz, and Goodman is working under a subcontract from Siemens to develop optimization tools that can be used on problems in which the scale of the problem is too large to allow its explicit representation using ordinary CAD/CAE tools. Instead, the structure must be defined by equations such that specific parts can be instanced as needed for analysis, upon user request. The team is focusing on structures of structures--for example, a lattice with elements composed of other lattices. Concepts in use include metameric representations, multi-level optimization, and innovization. Graduate students involved include Matt Ryerkerk, Abhiroop Ghosh, and Ming Liu. BEACON Center has established a new joint research laboratory with Prof. Zhun Fan's laboratory at Shantou University, in Shantou, Guangdong Province, PRC. Goodman and Fan have collaborated for many years, since Fan's completion of the Ph.D. at MSU. The new laboratory, the Joint Research Center of Evolutionary Intelligence and Robotics, is funded by the Guangdong Provincial Government under its International Collaboration and Innovation Program. Bilateral research visits occurred in 2016 and are planned for 2017. Prof. Hailin Liu was a recentlong-term visitor at BEACON as part of this effort, and a Ph.D. student of his, Chaoda Peng, will arrive for a 2-year visit beginning in late 2017. A Ph.D. student from Shantou University, Wenji Li, will also be a BEACON visiting scholar in the near future. Evolutionary algorithms for variable-length metameric problems: Ph.D. student Matt Ryerkerk is working under guidance of Profs. Deb, Averill and Goodman to develop improved evolutionary algorithms to solve problems in which the problem is represented as a variable number of identical units. Such problems include, for example, the problem of siting multiple antennas to cover a given area at minimal cost. Each "unit" includes the (x,y) coordinates and size (power) of an antenna, but it is not known what the optimal number is to minimize cost and maximize coverage. Other such problems include wind turbine farm layout, etc. Development of an epigenetic evolutionary algorithm: Ph.D. student Daniel Couvertier is working with Profs. Deb and Goodman on development of an evolutionary algorithm that employs an analog of the "strong epigenetic" mechanism found in nature. This algorithm would take advantage of an ability to change the behavior of a design in response to a changing environment, and to allow inheritance of that adaptation without alteration of the design's genome. An example in multi-objective optimization of dynamic evolutionary control of multiple generators is being developed. Evolutionary approach to nonlinear system identification using lime-invariant linear-in-parameters models: Ph.D. student Jinyao Yan is working under guidance of Profs. Jack Deller and Erik Goodman, and has now won a prestigious Janelia Graduate Fellowship allowing her to continue her work at Howard Hughes Medical Institute's Janelia Campus. The objective of her research is centered on the development of new methods for nonlinear system identification, with direct applicability to the problem of determining nonlinear brain connectivity. A novel method is presented for nonlinear system identification from measurements in large and complex noise conditions. This research has significant potential for theoretical development, and for application to a number of additional biomedical problems in diagnostics, therapeutic assessment, and disease process modeling. Jinyao returns monthly to discuss her progress with Profs. Deller and Goodman, but her day-to-day supervision is now by Janelia's outstanding neuroscientists. Search for improvements in predicting onset of Alzheimer's Disease: Ph.D. student Blair Fleet is working with Profs. Deller and Goodman on development of new signal processing/data mining technology to improve the capability of physicians to predict the clinical onset of Alzheimer's Disease based on a large number of laboratory/clinical measures collected about patients at six-month intervals in a study of several hundred patients. Compounding the problem is the temporal uncertainty introduced by having data taken only every six months, having some of the tests be somewhat subjective, and the fact that there are many missing data items in the dataset. Evolutionary multi-objective optimization of a greenhouse control system: Ph.D. student Jose Llera-Ortiz is working under the joint guidance of Profs. Goodman, Lihong Xu (Tongji University) and Erik Runkle (MSU Horticulture) to develop a model of a greenhouse-crop system suitable for evolution of a control strategy to optimize crop production while minimizing environmental and energy costs. The team is centered at Tongji University, Shanghai, PRC, and has a number of experimental and large-scale greenhouses to use for gathering parameterization data and for testing control methods. Tongji University Ph.D. student Chunteng Bao is visiting BEACON for two years, beginning in January, 2017, working on multi-objective optimization. A team at MSU, led by Prof. Ron Averill (M.E. ), Kalyan Deb (ECE&M.E. ), Alex Diaz (M.E. ), and Goodman, is working under a subcontract with Siemens on a DARPA-sponsored project to develop next-generation design and optimization tools, aimed at enabling design of "structures of structures" that cannot be conveniently designed with current design tools. The MSU team is charged with bringing to bear their optimization expertise on multi-level designs, for which the usual optimization tools may not be applicable. Data visualization methods for many-objective optimization problems: Prof. Gregorio Toscano, of CINVESTAV, a Mexican research agency, is collaborating with Profs. Deb and Goodman to develop novel tools for discovering the important properties of large datasets across many dimensions, such as are routinely generated in many-objective optimization. The work includes surveying existing tools as well as developing and testing new ones. The team collaborated face- to-face during a half-year visit to BEACON by Prof. Toscano, and now continues remotely, with additional visits planned. Evolutionary methods for optimizing land use planning: Ph.D. student at ETH Zurich, Jonas Schwaab, is working with his European advisors and with Profs. Deb and Goodman at BEACON, after a one-year visit to BEACON. They are addressing the "wicked" problem of identifying new urban areas for housing development while seeking to minimize the loss of productive agricultural land. Early results have shown sizeable improvements over the "business-as-usual" methods formerly employed. They are meeting face-to-face in Europe in 2017 to plan continuing collaboration. Elimination of redundant objectives in many-objective evolutionary optimization: Prof. Hailin Liu, of Guangdong University of Technology, Guangzhou, PRC, is visiting BEACON to collaborate with Profs. Goodman and Deb. Among other aspects of many-objective optimization, he is developing theory and methods to identify and eliminate redundant objectives--that is, to remove non-conflicting or weakly conflicting objectives from the "essential" ones that are in strong conflict. He is developing a new algorithm as well as new metrics to assist in this problem. Multi-level optimization of material transportation problem: In a project sponsored by the Midland Research Institute for Value Chain Creation, MSU researchers Deb and Goodman are working with Ph.D. student Zhichao Lu and Dow Chemical Company researchers John Wassick and Jason Lefevre to develop an algorithm that allows simultaneous optimization of product deliveries at several different spatial and temporal frames. After successful work in 2015-16, the team is now extending the work in 2017. Automatic determination of export classification codes using machine learning: In a second project sponsored by MRIVCC, Deb and Goodman are working with Dow's Chun Wang, John Wassick and Dow Corning's Vicki Rothhaar, and with MSU Ph.D. student Yashesh Dhebar, to explore the automatic assignment of classification codes to the products Dow ships worldwide, a process currently done manually. The goal is to save time and money by getting these classification tasks done both more quickly and more accurately. Neighbor-based learning particle swarm with worst-particle removal for global optimization: Tongji University Ph.D. student and BEACON visiting scholar Leilei Cao, a member of Prof. Xu's lab at Tongji University, has been working with Prof. Goodman on a new algorithm that shows promise of improved performance on a large set of benchmark problems. They will collaborate remotely in 2017 and beyond. BEACON: An NSF Science and Technology Center for the Study of Evolution in Action!!! The National Science Foundation announced in February, 2010, that Michigan State University has been awarded one of five new highly-coveted Science and Technology Centers, to be called BEACON, an NSF Science & Technology Center for the Study of Evolution in Action. The initial award in 2010 was $25 million for five years, and took effect August 1, 2010. BEACON was renewed in 2015, for an additional $22.5 million, carrying its NSF funding as an STC through 2020. BEACON conducts research on fundamental evolutionary dynamics in both natural and artificial systems, educates a generation of multi-disciplinary scientists in these methods, and works to improve public understanding of evolution at all levels. BEACON focuses on evolution as an ongoing process, in organisms in the laboratory (bacteria, yeast, viruses, etc. ), in the field, and with “digital organisms” undergoing evolution in the computer. 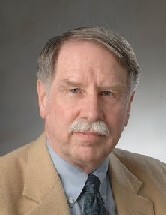 It is directed by Erik D. Goodman, Professor of Electrical and Computer Engineering, and in 2016, involved more than 600 researchers at all levels. BEACON members are at MSU, most in the Colleges of Engineering and Natural Science, and at its four partner schools, North Carolina A&T State University, University of Idaho, University of Texas Austin and University of Washington.. BEACON unites biologists who study natural evolutionary processes with computer scientists and engineers who harness these processes to solve real-world problems. Developers of so-called evolutionary algorithms have long borrowed high-level concepts from biology to improve problem-solving methods, but have not always captured the nuances of natural evolution. Close collaboration with biologists studying evolution will promote better modeling and harnessing of the process. Similarly, studying the evolution of artificial systems in the computer can provide biologists insight into factors that influence the dynamics of evolution. BEACON will promote the transfer of discoveries from biology into computer science and engineering design, while using novel computational methods and systems to address complex biological questions that are difficult or impossible to study with natural organisms. BEACON's reviewers have uniformly declared the center to be a great success... For more information about BEACON's achievements to date, visit http://beacon-center.org. Temporary link for downloading GALOPPS3.2.4 until GARAGe pages are fixed. My principal research interest has long been evolutionary computation, since beginning in the field during my thesis research. I am particularly interested in parallel genetic algorithms, genetic programming, and multi-objective evolutionary optimization. My work with Dr. Ron Averill and our students in applying genetic algorithms for automotive structural design constituted a breakthrough in automating the design of structures for crashworthiness, noise, vibration, harshness, manufacturability, etc. As a result of our demonstrated success, we organized a company, Red Cedar Technology, Inc. (originally called Applied Computational Design Associates, Inc., or "ACD Associates"), which offers design services using our various GA and FEA technologies to the industrial community. Current customers come from automotive, marine, aerospace, medical instrument and appliance, manufacturing equipment, architecture, and civil infrastructure industries. The company has simultaneously developed software products and training to make its tools accessible to industry. The company's web page is Red Cedar Technology. During its founding years, Ron Averill was President, and I was Vice President and Chief Technology Officer. In 2013, Red Cedar became a wholly-owned subsidiary of CD Adapco, a leading provider of computational fluid dynamics (CFD) software. In 2016, CD Adapco and Red Cedar were acquired by Siemens GMBH. Under a grant from the National Science Foundation, my co-investigator, Ron Rosenberg, research associate, Dr. Kisung Seo, and I worked with a team of outstanding students, including Jianjun Hu, Zhun Fan, and Janelle Shane, on using genetic programming for automated design of multi-domain systems (electrical, mechanical, etc. ), including mechatronics. The output of the GPBG system is a bond graph specifying the connection topology and components, including values of parameters, to implement a system with a given desired performance. For more information about GPBG, please see these pages. During the development of GPBG, Jianjun Hu (now at Univ. of South Carolina) created the Hierarchical Fair Competition principle, which has been shown to facilitate rapid, sustainable search in many domains of evolutionary computation, including GP and GA. For more information, see the HFC pages. In the early 1990's, I wrote (in 'C') a package called GALOPPS, which is distributed via the net. It includes capabilities for such innovative PGA architectures as the "Injection Island GA" or iiGA, which was developed in the GARAGe, in which a hierarchy of populations, using different problem representations and/or different fitness functions and/or different local search heuristics, migrates solutions to populations using increasingly more accurate problem representations or fitness functions. My student Wang, Gang also released DAGA2, a 2-level hierarchical and parallel GA which chooses GA operators/rates, etc., using a second level of adaptation (evaluating fitness of subpopulations in moving toward problem solution), and is "plug-compatible" with GALOPPS, for persons already using GALOPPS for simple or parallel GA work. For information regarding our GA research, please see the GARAGe web page. I am very interested now in how to best communicate information among various subpopulations simultaneously working on a problem, often with each subpopulation using a somewhat different representation of the problem or a different fitness function for evaluating solutions. I have worked with genetic algorithms for 34 years. I believe that my Ph.D. research, in 1970-71, was the first time a GA was used to solve a real problem (not just a test or benchmark problem). In 1970, after taking two courses in what is now called evolutionary computation, from John Holland, I began a run of a GA (which took more than a year to complete, in a checkpoint/restart configuration, running over half the time) using a floating-point-representation GA, with Gaussian mutation of floating point variables, as part of my Ph.D. research in the Logic of Computers Group at the University of Michigan (continued on a computer at Michigan State University after my hiring there in September, 1971). I can't cite a publication on the GA methods because I couldn't manage to get it published at the time -- it was seen as pretty strange, then. However, the 40 GA-determined rate parameters in my publications about the E. coli model were the outputs of the GA. I used a GA in my EPA-sponsored modeling work in the 70's, with a Ph.D. student, Mehrdad Tabatabaai. My Ph.D. student Adrian Sannier and I used a GA in what would now be called "linear genetic programming" to evolve programs governing artificial organisms, in a primitive form of A-life. We were able to evolve two species of cooperating organisms, and eventually, a combined organism that differentiated based on its early experiences in the environment. This work was published in the Second International Conference on Genetic Algorithms (1987) and related work appeared in other places. From 1993-2003, I directed MSU's Manufacturing Research Consortium, which conducted research at MSU under sponsorship of industrial members, under two sequential 5-year agreements. I have also conducted research in environmental modeling and simulation since 1972. In 1995, our Environmentally Responsible Manufacturing (ERM) team at MSU received a grant from NSF to develop tools enabling manufacturing enterprises to incorporate environmental tradeoff information directly into their existing management tools, rather than using it later in a "checkoff" process. The MSU Manufacturing Research Consortium also sponsored a related project on the "Green Supply Chain."